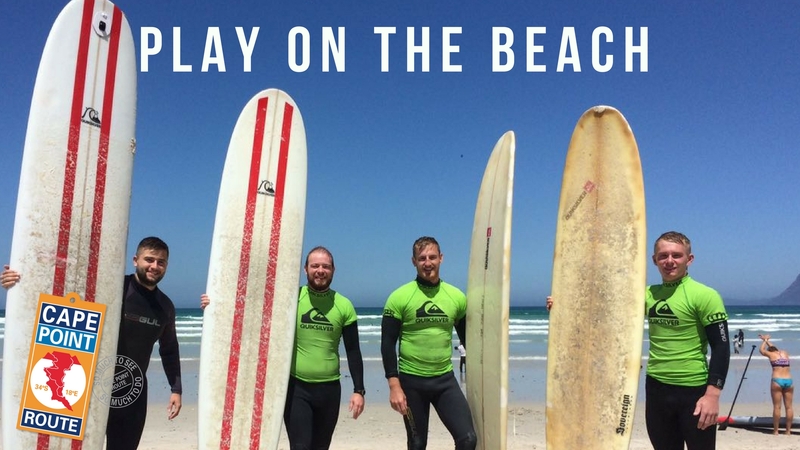 With summer already upon us and the holidays just around the corner we thought we’d share our top 10 activities that you can do on the beaches of the Cape Peninsula this summer. The classic beach-time activity. 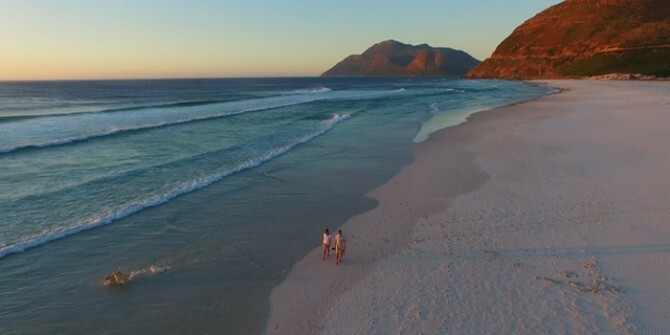 With miles and miles of soft, white beach sand, the Cape Peninsula offers some of the best beach walks in South Africa. 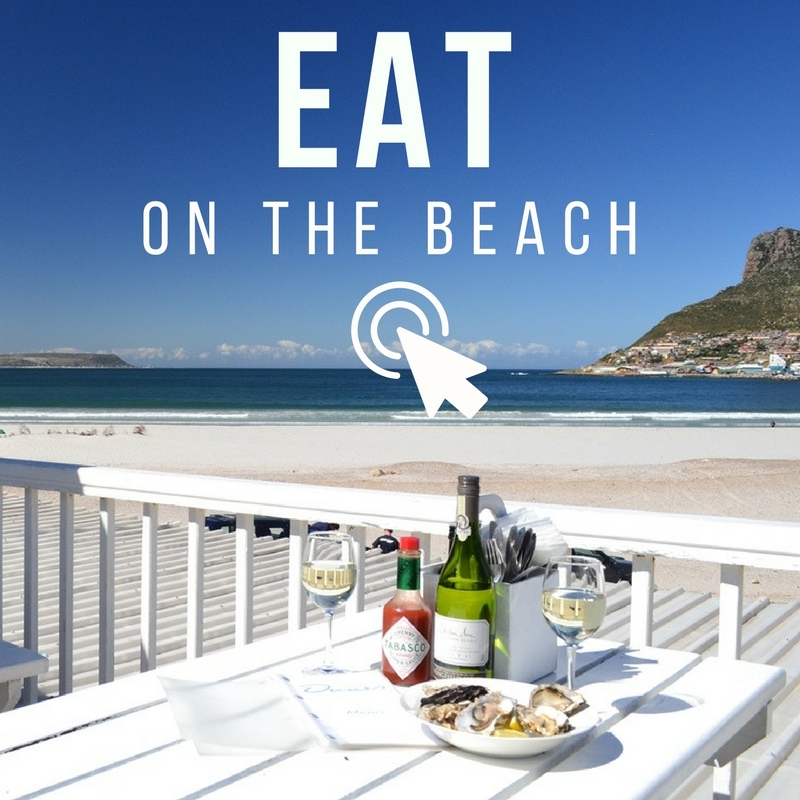 From the near-endless beaches of Muizenberg to the rough and wild beaches of the Atlantic seaboard to the family-friendly Fish Hoek beach, there is a beach out there for everyone’s taste. Tip from a local: There are a number of ‘secret’ beaches dotted along the Cape Peninsula, see if you can find them! Are you looking for something more physically challenging than a stroll on the beach? 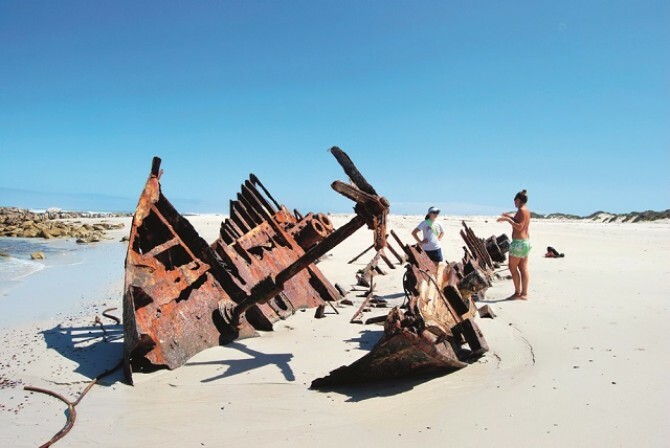 Then we can highly recommended the Beach Shipwreck trail in the Cape of Good Hope Nature Reserve. A 2 to 3 hour moderately paced hike that takes you up the Western edge of the Cape Peninsula, starting from the world famous Cape Point Lighthouse. Tip from a local: If you are here between August and October, see if you can spot any whales in False Bay. What would a ‘top-10’ article on beaches be without mentioning swimming. The waters of the Cape Peninsula differ depending on what side of the peninsula you are on. The Atlantic side tends to be colder and rougher, not ideal conditions for swimming. However the False Bay coast, is much warmer and perfectly suited for spending a day in the water. The beaches of Fish Hoek, Muizenberg and Boulders are a swimmers paradise in the summer. Get there early to book a good spot on the beach. 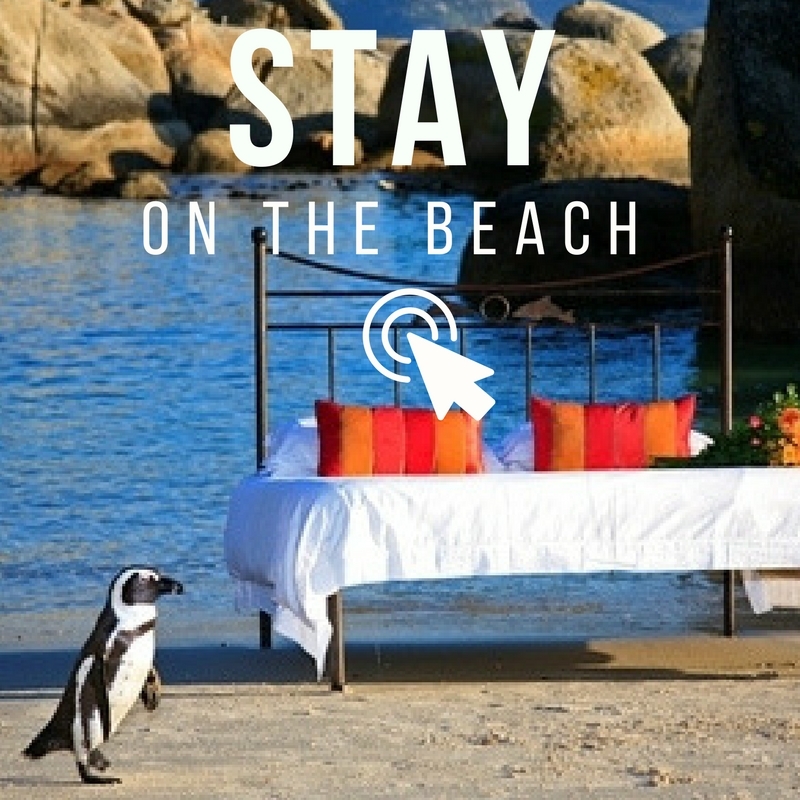 Tip from a local: Did you know you can swim with Penguins at Boulders Beach! Surfing in South Africa can trace its history back to the beaches of the Cape Peninsula. So what better way to spend your time here, than learning how to surf. With its mild temperatures and gentle waves, Muizenberg is the ideal location to go from novice to pro with some of the top instructors in the country. Tip from a Local: After your surf lesson head to Knead Bakery for a Coffee and Croissant or Tiger’s Milk for a Beer and Burger. Long Beach, on the Atlantic seaboard did not get its name for being short. 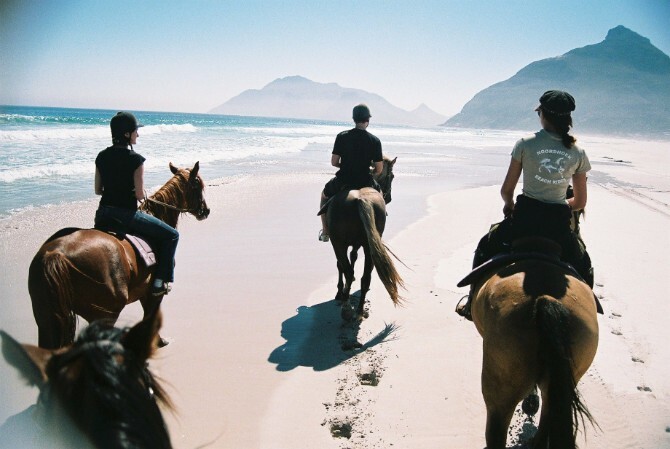 Enjoy this beautiful stretch of beach on the back of a horse from Kommetjie to Noordhoek, a journey of a few kilometers. Enjoy the sights and sounds of the beach including a wreck of the steamer Kakapo, stranded on the shore in 1900. Tip from a Local: The Sunset Beach Horse Ride is the ultimate romantic experience! 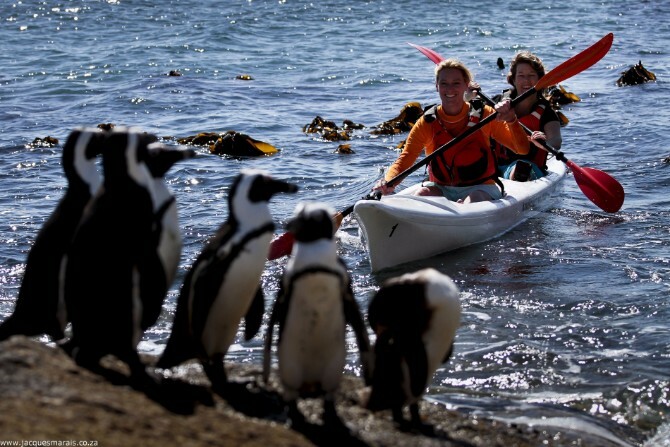 Get up close and personal with the African Penguin colony of Boulders Beach by joining one of the daily, 2-hour sea kayaking tours, that leave Simonstown harbour every day (weather dependent). Experience one of the Cape Peninsula’s most well known attraction from a different perspective this summer. Tip from a local: The notorious South Easter wind is usually calmer in the morning, so plan this activity for first thing. We mentioned beach walking as the classic beach-activity, however we are certain that sipping a libation while watching the sun go down would be pretty much up there too. The Cape Peninsula offers a unique experience, in that you can watch the sun come up in the morning from the beach on the one side and watch it go down on the other. 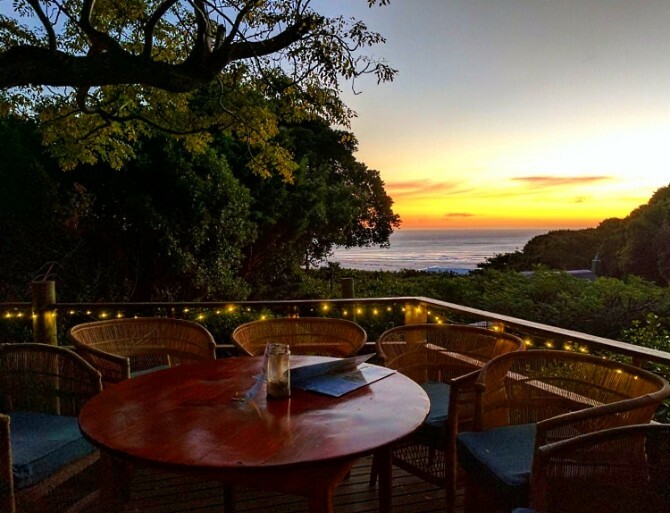 Enhance this experience with sundowner cocktails at one of the many restaurants and bars along the beaches of the Cape Peninsula. Tip from a local: The sun goes down as late as 8 in the evening during summer. The Cape Fur seal is our local version of the Brown Fur Seal and is endemic to the coasts of the Western Cape and Namibia. 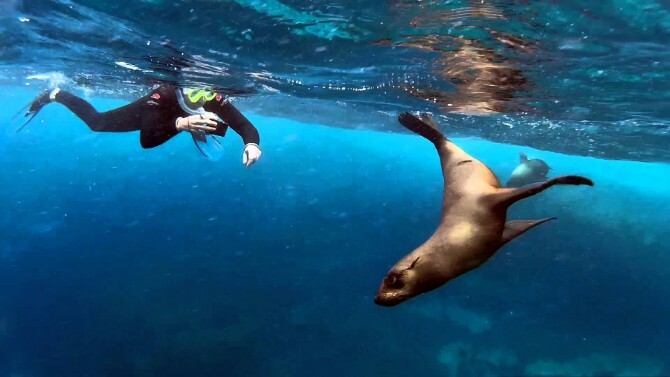 Experience their natural environment first and by joining this half day excursion (weather dependant), where you get to spend up to an hour snorkeling amongst these amazing and playful animals. 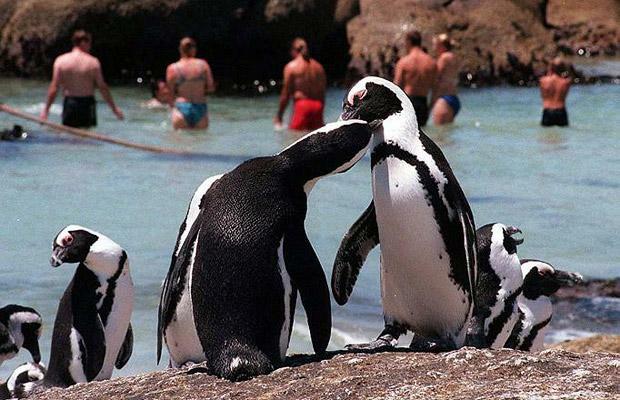 The beaches of the Cape Peninsula offer you the opportunity to partake in a 2 exciting activities. You can learn to either Kite Surf or SUP (Stand Up Paddling) with Surfstore Africa, rated as one of the safest Beach & Water Sports Academies worldwide! Courses happen throughout the year and take place away from the crowds, so you don’t have to worry about losing face when you wipe-out the first few times. But take it from us, you will be kite-surfing or sup-ing like a pro in no time. 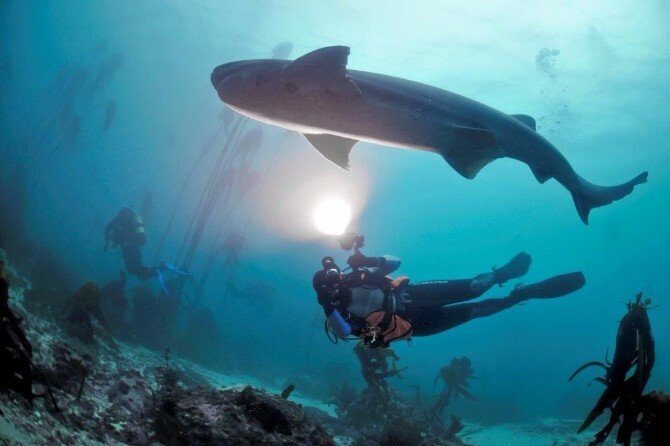 The waters off the Cape Peninsula offer some of the best dive spots in the world. The warmer False Bay dive sites offers both the novice and seasoned diver a unique and unforgettable experience. Dive amongst kelp forests, wrecks and spot the odd seal or shark or two! There are PADI accredited operators along the False Bay Coast offering everything from training to equipment hire. Tip from a local: Join a dive tour that will take you unique dive spots that are beyond the reach of shore dives. This entry was posted in Activity. Bookmark the permalink.